UPDATE: Parker Road Elementary Sock Hop - $1532 Donation! 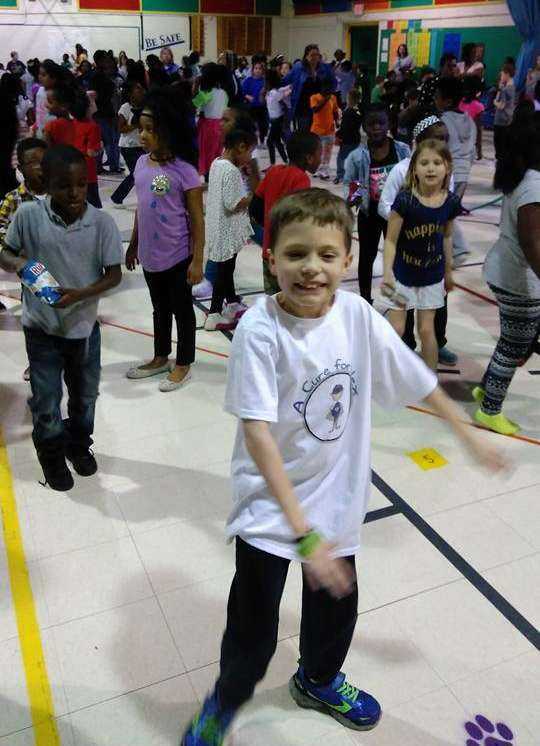 PARKER ROAD ELEMENTARY STUDENTS HELD A FUNDRAISER TO HELP THEIR CLASSMATE, RAISING $1532…but that’s not all the story! "I just thought you all would love to hear this story! It started off with one of my students (Branden G) bringing a $5 bill to pay to go to the sock hop and get a snack. Instead of asking for change, he asked to pay for another student's entry so Alex would receive more funds. Well, the recipient (Dominic) had brought in his own money, so Dominic decided to pay it forward to another classmate. This went on for 12 students! That's almost half of my class who donated/paid it forward for another student to attend and support Alex. I couldn't be more proud of the generosity and thoughtfulness of my scholars. They are so excited to help Alex and I'm hearing continued conversations, not about the sock hop and snack, but about how their money could help save a life. Wow! My whole class is attending and are thrilled to be helping out a fellow panther. Third grade and teachers, thank you for putting on this event, making us aware of Alex's situation, and providing my scholars an opportunity to show how HUGE their hearts really are!"